Best Baby Shower Ideas For Food and Drinks – Get a Baby Shower Checklist! Is your friend expecting? Congratulations! Someone, the most important and beloved is to appear in her life very soon. No wonder that baby shower is considered one of the brightest and the most joyful celebrations. You’ll find in this post the best baby shower ideas for food and drinks, as well as a baby shower checklist! And if you had a chance to host it, you will understand that it is the real privilege as you can quite feel the sorceress giving pleasure not only to the mother-to-be but also to your friends. We are sure that you will do a great job! 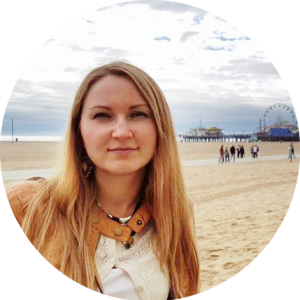 And especially for you, we have prepared some tips about the organization and the menu including cheap baby shower food ideas. 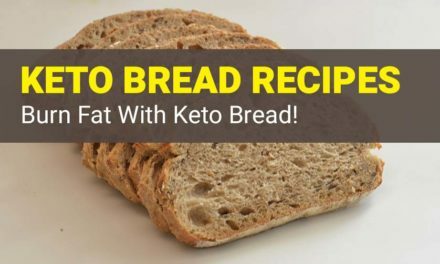 Feel free to experiment! What Food Should I Serve at a Baby Shower? Pondering the baby shower menu, you are to take care of two things that are the great taste (that goes without saying) and the charming laying that will delight the new mom and the guests. We would like to offer you some baby shower food recipes that look as great as they taste. Another important thing for you is that everything is cooked quickly and contains healthy ingredients only! 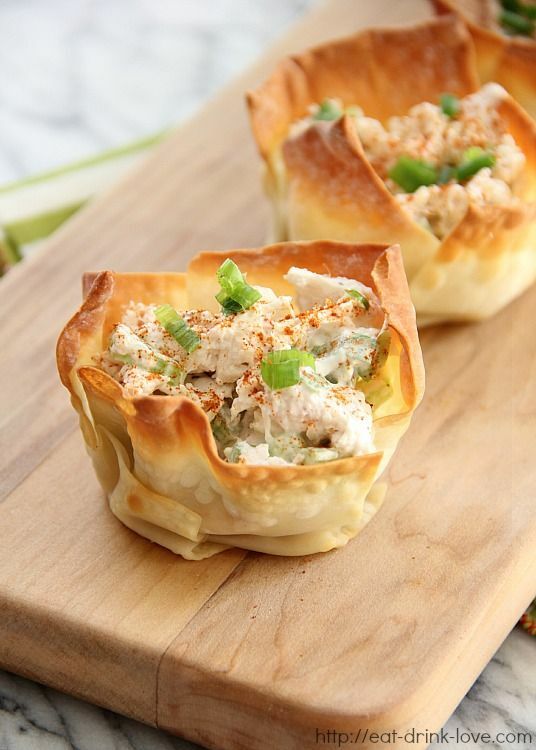 Tender and juicy chicken with greens and Greek yogurt sauce in these cozy cups of crispy pastry -mmm … Do not be surprised if your guests will not be able to break away from the snack until the very end of your party! 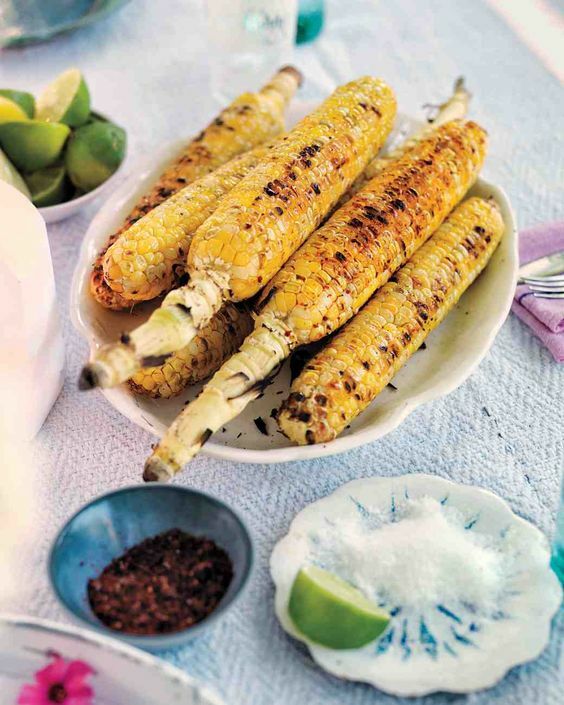 Grilled corn ears with lime and herbs are what the fans of healthy eating and hosts who prefer to do everything quickly and in the best way actually need. 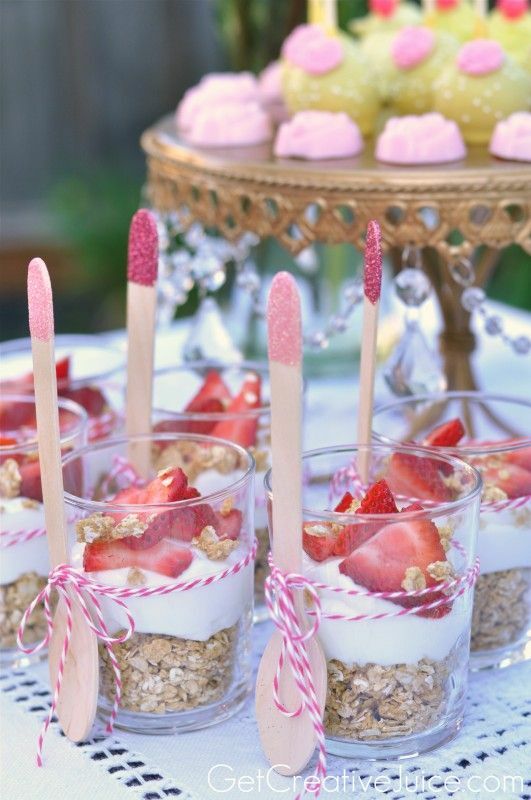 Let the corny party begin with this baby shower mini food idea! Well, is it possible to abandon the delicious cheeseballs in the company of nice crunchy crackers? To rejoice means to delight the stomach – and that works for all participants of baby shower including the mom-to-be! Ricotta and tomatoes. Ricotta and radish. Ricotta and salmon. Ricotta and nuts. And all this is served on deliciously crunchy bread. 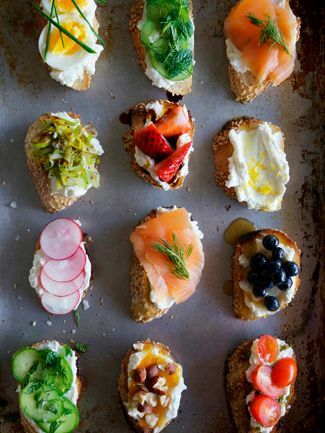 Who on earth can resist these cute baby shower appetizers? 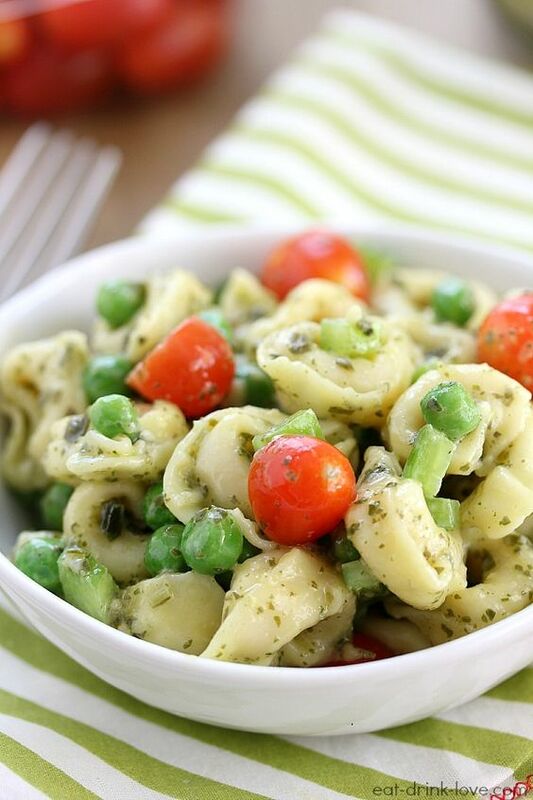 Some mouth-watering cheese tortellini, healthy vegetables, and delicious pesto sauce will infuse a boost of vitamins and flavor to all the guests of your baby shower. That is what you really need for a warm friendly circle of happened and expectant mothers! 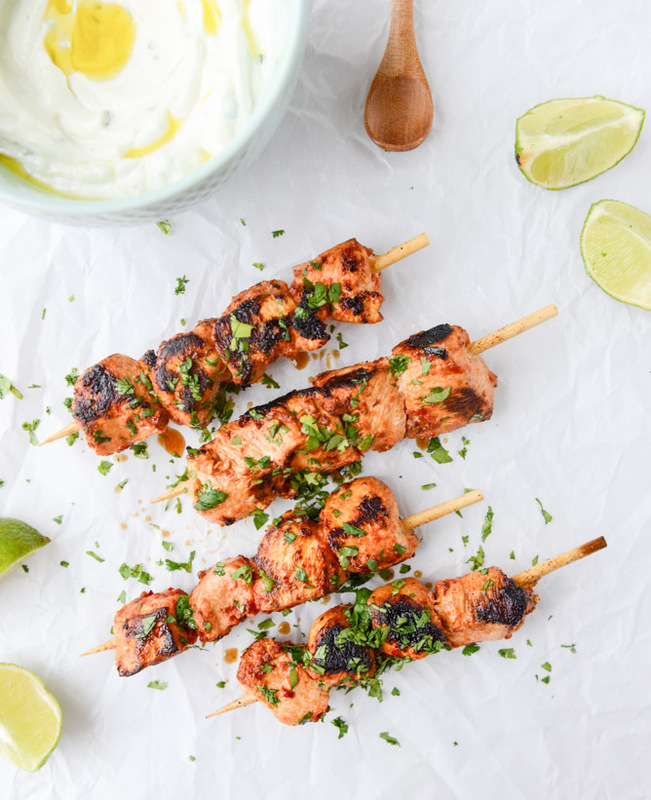 These juicy skewers of chicken breast with garlic, herbs, and a drop of chili with Greek yogurt sauce can be served as a main dish, as they are able to take away any healthy diet fan. Getting ready for the party? The slow cooker will definitely come in handy at the moment! 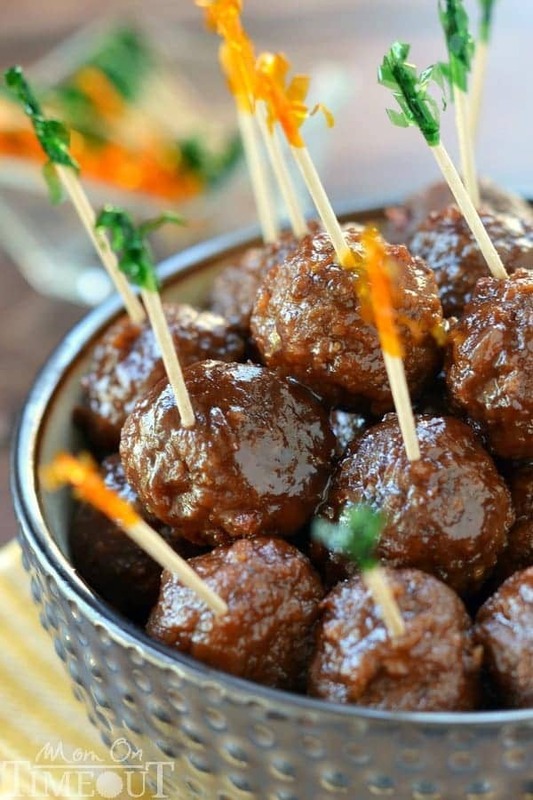 Here you can cook these delicious meatballs that can be served with a spectacular design. 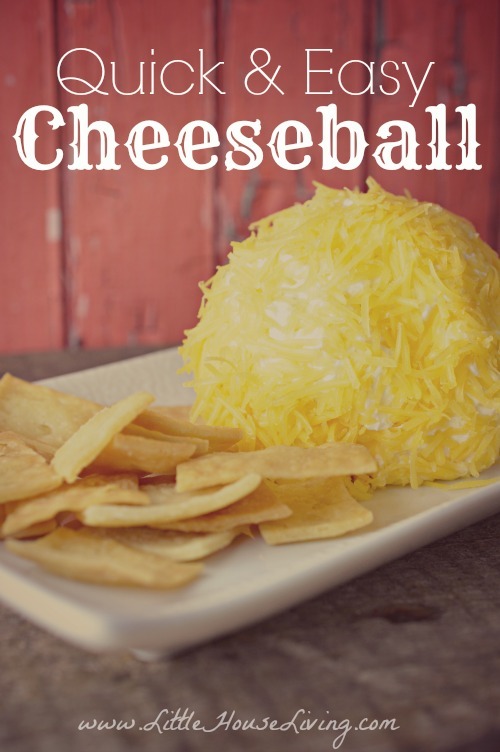 That is a great finger food idea for the baby shower! 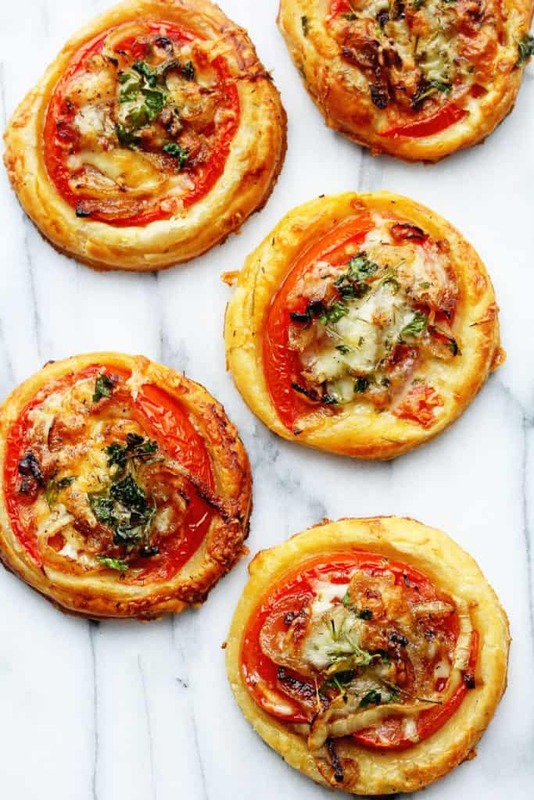 This is a stylish and undoubtedly tasty alternative to mini-pizzas. Just a few ingredients and 15 minutes of your time – and the best dish for a wonderful baby shower buffet are ready! Cereals, berries, and yogurt are known as very healthy but still common foods. However, a few cooking secrets twist to turn it all into a delicious and (Hooray!) low-calorie dessert. Check with the expectant mother, if she is going to make a gender reveal. If so, this dessert will be a cute hint. 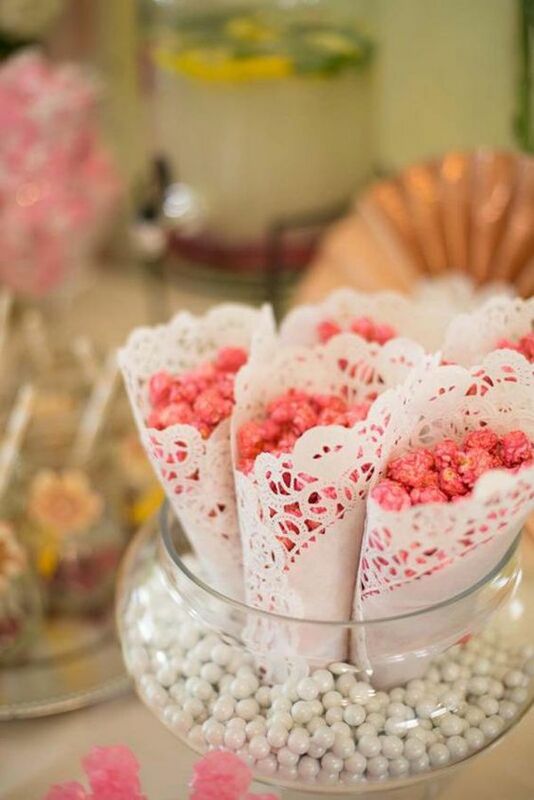 Pink popcorn is one of the greatest baby shower food ideas for a girl and, of course, you may use the blue one for a boy. However, you can create an intrigue by mixing the popcorn of both colors. 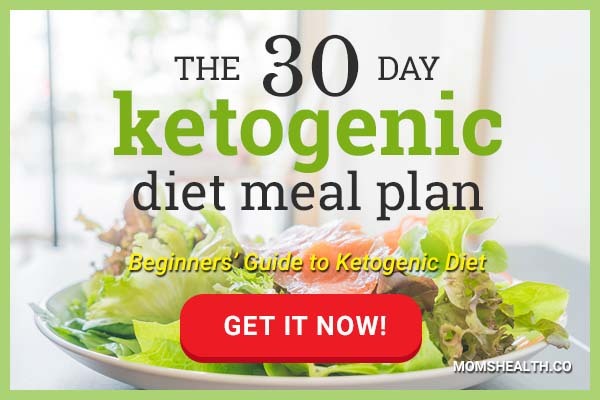 As you can see, this time you and your guests will have to forget about smoked meat and sushi. However, there’s no doubt that you will find a better baby shower treat! 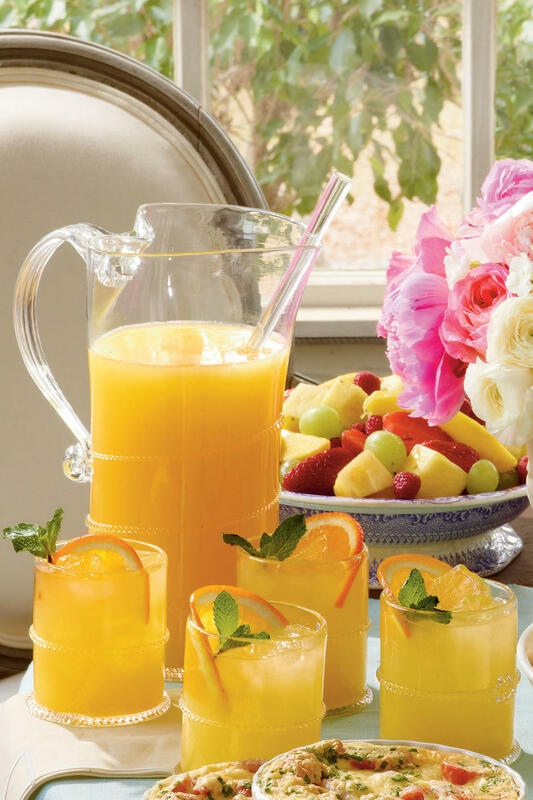 What Drinks to Serve at Baby Shower? 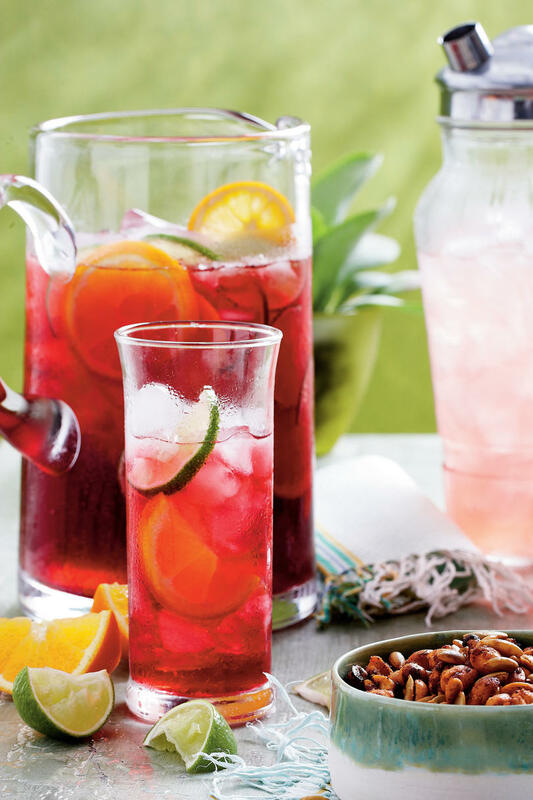 When the foods for the party is already set, it’s time to think about something refreshing. 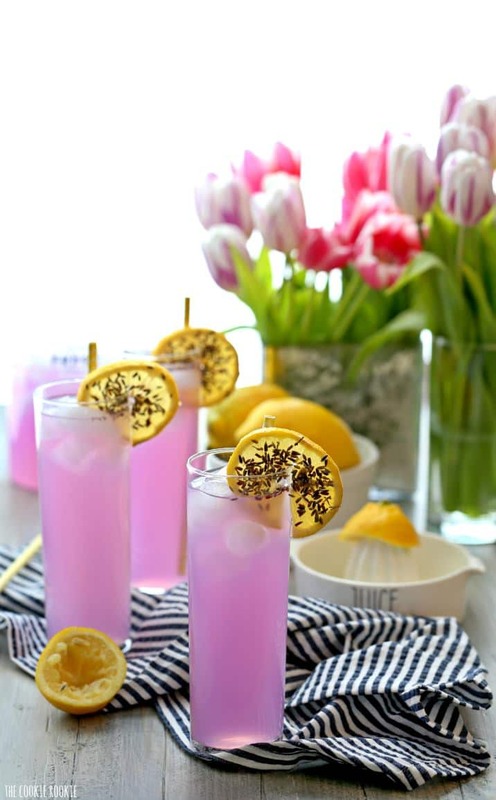 We present some recipes of drinks that can become a real decoration of your baby shower table. A surprisingly delicate color, freshness, a delightful taste-we hope you understand that this is the best way to celebrate a soon-to-be girl! Hot summer baby shower? The good friends of good mothers (and expectant mothers too) know how to forget about sweating! Meet this crazy iced tea. So cool. So minty. So easy-to-cook. This is a ravishing orange-pineapple-ginger delight. It looks very bright both in the jug and in glasses. And, what is best of all, it is prepared ready just in minutes! Hibiscus tea is great in itself. 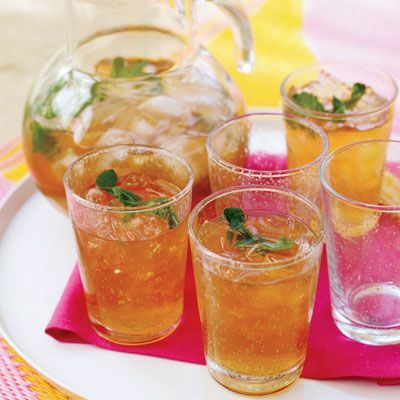 However, together with ice and ginger ale, it adds some sweet notes to the summer or spring baby shower! 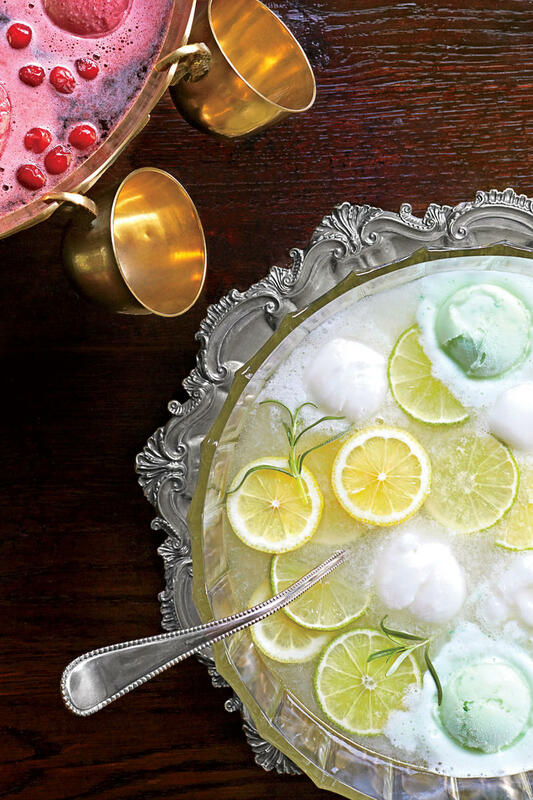 Cool and sweet sorbet balls in the charming aroma drink will impress the honoree and her guests. As you probably understand, this list is far from being complete. Fruit iced teas and lemonades made of your favorite fruits decorated with mint and rosemary leaves will be the best refreshment, which is especially important for the mothers-to-be who monitor their health. And now a few words about alcohol. A lot of new mothers do not see anything wrong in making a couple of sips of the mojito with rum or some gin cocktail. However, still try to avoid such drinks at the baby shower party, because the health of the pregnant should be protected as carefully as possible. In the end, you want the mother-to-be and her baby only the best, right? How Do I Plan a Baby Shower Checklist? Of course, the baby shower is certainly one of the happiest and expected events for the all of you. However, its organization may seem daunting if you are a baby shower beginner. Moreover, urgent questions like the need to decide on the style of the party or plan baby shower food for 50 guests can be equated to the apocalypse. Calm down, just calm down! What you really need is a simple 10-point plan to put everything in place and go on successfully. Discuss the most convenient time for the baby shower with the mother-to-be and her family. Make sure all your friends are free and available on the right day. Needless to say that the party theme should match the preferences of the honoree. Be sure to ask your friends what she prefers – something classic, shabby chic or Peter the Rabbit party. When the theme is set it will be much easier to make invitations, choose decorations and cakes, and come up with games. Here you will have to involve the family of the honoree. The list should be as detailed as possible in order not to miss important friends and relatives that are important for the mother-to-be. You may use traditional invitation cards or send funny messages by e-mail. That would be better for you to do this in advance so that guests can respond or change plans if necessary. The baby shower may be arranged on the lawn, backyard, restaurant, or a small park – the main thing is that everybody including the honoree can feel comfortable. You can make them yourself by some appropriate DIY on the Internet, raid the nearby gift shop, or order from the masters – it all depends on your talent and budget. Baby shower food ideas for a boy may be of the one kind, the treat for a neutral-style or a girlish party may differ greatly. As you see the celebration table should correspond to the theme, be delicious, and let the guests entertain freely. Do not forget about the refreshing drinks as well. It is not necessary to turn your baby shower into a continuous attraction. Just pick up a few funny activities where the mother-to-be may be involved if she would like to. Make a baby registry or a list that includes all the necessary things for the new mom and the baby. That will help the guests to prepare the right gift. If you are afraid to be trapped, then you will have to involve the honoree. The surprise will be partially revealed – but just for the better! Take care of some cute stuff to show the guests your affection and thankfulness. Handmade chocolate or soap, cosmetics, or scented candles will be a nice idea. As you see, this basic plan is very simple, but it can help you to arrange a bright and joyful baby shower for all. Don’t forget to take nice photos!!! How Do You Plan a Baby Shower at Home? Find and fix the place. Actually, the baby shower arrangements are not so complicated as they may seem. Just remember: plan the celebration as the honoree would admire and forget about what you may prefer. However, once you have become the baby shower manager, then you are a very special person in the mom-to-be life and you know exactly what she likes! Good luck! 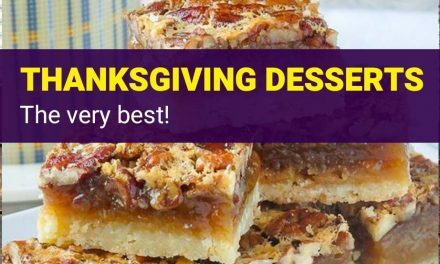 Next8 Best Christmas Desserts – Recipes And Christmas Treats To Try This Year! 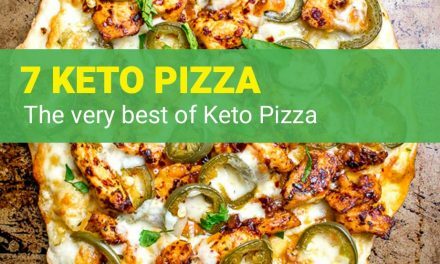 7 Best Keto Pizza Recipes – Ketogenic Diet with No Guilt! 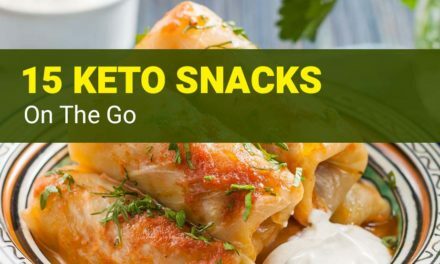 15 Keto Snacks on the Go – Low Carb Sweet and Savory Fat Bombs!